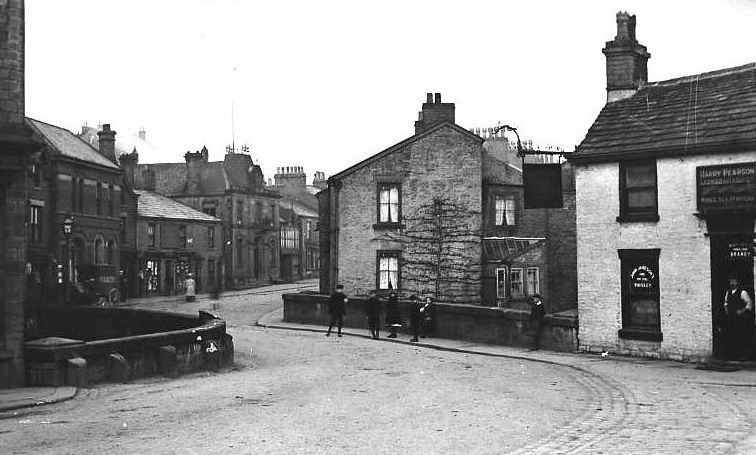 The photo id for this photograph is 260, in the Whaley Bridge T-Z album. The tree growing up the gable wall of the old bookies shop was a pear tree and it was fed on blood from Wild's butchers to ensure a good crop. The House with the pear tree was where I was born and brought up. It was a Butchers Shop owned by Mr J.Drinkwater then owned by my Father Mr J.E.Hall. I remember Mr Hall and Ben and Gladys Revell who worked for him. They were friends of my mum and dads.